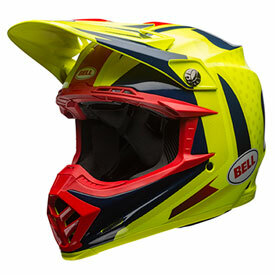 The Moto-9 Carbon Flex is Bell’s top of the line off-road helmet, representing the best Bell has to offer in comfort and performance while also incorporating injury prevention technology that’s on the leading edge. This safety tech comes by way of their progressive 3 layer EPS system. 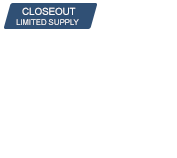 Exclusive Magnefusion™ Emergency Removal System (MERS) cheek-pads. Nicest helmet ever had since my last bell !!! Great protection and love the air flow I get with this helmet. I ride a cruiser in Florida so the air flow is a must and I get plenty with this helmet. The big plus is I have a full helmet but not the closed in feeling I get with most road full face helmets. This helmet fits me so well. The opening is a little snug, but once it’s on, it fits like a glove. Very comfortable and I almost forget that I am wearing a helmet. I'm a large in Shoei, Fox, and other Bell helmets and Large in this helmet was perfect for me. I have this helmet in the carbon black and had some issues initially with sizing but realized I had to go from a fox Xl to a bell 2xl. I find my face is relatively close to the beak as well but that seems to just be the design. I purchased this helmet as a spare as I initially had wanted this color combination so I really can't say anything bad about the helmet. Best helmet I have own to date. Fit and feel is amazing. Feels light weight and cents very well in the summer of So Cal. What's not to like? Bell's best helmet at a bargain basement price. The fit was true to size. My review is based on the fit,comfort as I have not had a chance to actually wear it on a ride. 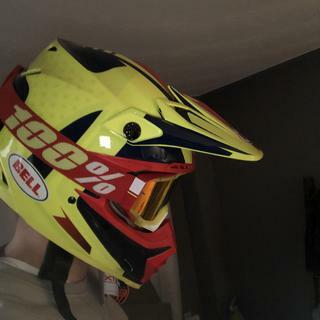 I have owned 3 different Bell helmets in the past (2 Moto 5’s and a Moto 9) and loved them all. This carbon flex helmet appears to have much more padding than my previous Bell helmets. I will be able to give better reviews after a few rides and after I break it in. Judging by the performance of my previous Bell helmets, I’m sure I won’t be disappointed. Also I got a great deal on this helmet, 52% off. Most comfortable helmet I have ever owned. Awesome helmet, this is the most comfortable, and best venting helmet I have ever owned. 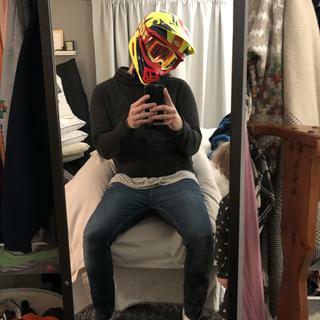 My last helmet was a fox V3, my only complaint would be the cheek pads are really tight, I bought smaller pads for $ 19.95, and now it fits perfect, if its tight when you get it, try pulling the cheek pads out and trying it on before you send it back. It’s awesome. I love the magnet strap and it looks amazing. Super stocked with it. Thanks my my girlfriend who got it for me. The best helmet money can buy hands down. Best Helmet I've Ever Had! I bought this helmet when it was on sale as a Christmas gift to myself, and I'm super happy that I did. It's amazingly comfortable, looks great, and protects my head great as well. 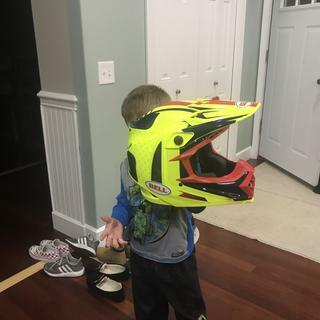 I would recommend this to anyone that wants a helmet that will protect their head well. Very impressed with how light it is and how much air circulation and has and is very comfortable! 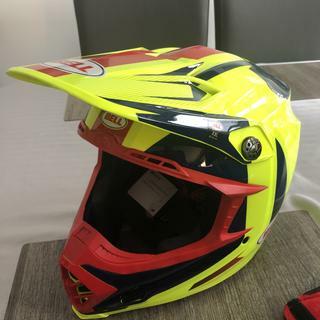 In my opinion this is one of the best motocross helmets on the market. The helmet fits very well like it should. I love all the technologies that go behind this product. Large fits very tight on me whereas my fly f2 carbon isn’t quite such a squeeze. Very comfortable once it’s on. Quality is amazing. Love the magnetic cheek pads and strap retainer. Great purchase! How much does the small bell moto 9 carbon flex weighs in the “small”? Do you have matching replacement visors? 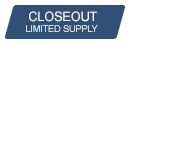 BEST ANSWER: Below is the link the replacement visors for this helmet. 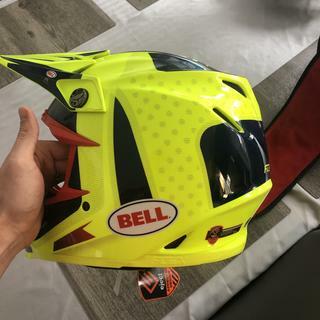 Can you tell me how much the Bell Moto 9 Carbon Flex helmet weighs in the "large " size? BEST ANSWER: 3.5 pounds will be the weight in a size Large. What is the weight in a size medium?